China’s research traces different facets of the global mental health assemblage. She explores the ways diagnoses travel and circulate around the world, and what happens when issues such as distress, suicide, or terrorism get framed as global public health challenges. Her work looks into how the psy-disciplines and psychotropic drugs function in local and global contexts of entrenched inequality, chronic poverty, (neo)colonial oppression, border imperialism, and increasingly under the politics of austerity. China also carries out critical research into suicides linked to welfare reform, economic reform, immigration detention, and corporate practices, and is a member of the Critical Suicide Studies Network. China is the Principal Investigator on a British Academy grant looking at the ‘social life’ (production, circulation, use and resistance) of global mental health technologies designed to be used all over the world. She was also Principal Investigator on a previous British Academy grant researching the use of behaviour change technologies in India, South Africa and Australia. China’s funding enables her to work alongside Dr Eva Hilberg, a postdoctoral researcher, also based at City. In 2014, China published the book ‘Decolonizing Global Mental Health: the Psychiatrization of the Majority World’ (Routledge), which draws on research with NGOs and user-survivor organisations in India, and analyses global mental health policies as forms of colonial discourse. Since her book, she has published widely in leading journals, including: Critical Public Health; Globalization and Health; Critical Sociology Policy; and Sociology of Health and Illness. China's research has been featured in the Indian Express, Discover Society, the Conversation, Mad in Asia, and the Weeks Centre for Social Policy. 1. China is Principal Investigator on a project funded by the British Academy (with co-researchers, Dr Eva Hilberg and Dr Elise Klein) into "Psy-technologies as global assemblage: histories and social lives of quantification and digitisation in three former countries of the British Empire" (IC2\100163) (Feb 2018-June 2019). This research explores the historical conditions of possibility for specific psy-technologies in three countries of the former British Empire. It looks at how psy-technologies are embedded in wider global assemblages (national infrastructures, inter/national actors and norms, and funding architectures). We look at the ways psy-technologies act as dimensions of global coloniality, exploring the visibilities that postcolonial analysis brings to the technological mediation of global/local relations. 2. China was PI on a British Academy funded project into "Changing behavior through technology: therapeutic culture and the digital revolution" (IC160362) (March 2017-Feb 2018). This project analysed the social life and cultural biographies (production, use, appropriation and resistance) of digital technologies for behaviour change through three case studies in India, South Africa and Australia. The study explored the ways that mental health is made to 'count' globally through the intersections of technology and quantification. 3. In 2016-17, China was PI on a research project into critical approaches to Global Mental Health, funded by Sheffield Institute for international Development. 4. 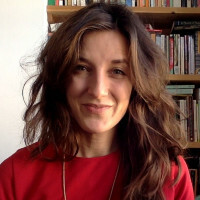 China is co-investigator on an ISRF Flexible Grants for Small Groups, with Dr Reima Ana Maglajlic, at University of Sussex - researching mental health user groups in post conflict Bosnia and Herzegovina. China teaches on the Masters in Public Health (MPH). Her teaching philosophy is rooted in the respect of student diversity and the co-creation of knowledge within the learning environment, and she is actively involved in work to decolonise curricula within health and the social sciences. China has supported a diverse range of students, many of whom have English as an additional language, experience mental health issues, and/or have additional needs. China enjoys supporting her students to write for publication, and has co-authored journal papers and book chapters, and co-presented at conferences, with a number of students. Mills, C. (2014). Decolonizing Global Mental Health The psychiatrization of the majority world. Routledge. ISBN 978-1-135-08043-3. Mills, C. (2018). Teaching white innocence in an anti-black social order: British Values and the psychic life of coloniality. In Johnson, A., Salisbury, R. and Kamunge, E. (Eds. ), The Fire Now: anti-racist scholarship in times of explicit racial violence. London: Zed Books. Mills, C. (2017). Psychopharmaceuticals as ‘essential medicines’: local negotiations of global access to psychotherapeutic medicines in India. In Davies, J. (Ed. ), The Sedated Society: The Causes and Harms of our Psychiatric Drug Epidemic (pp. 227–227). London and New York: Springer. Mills, C. (2017). Global Psychiatrization and Psychic Colonization: The Coloniality of Global Mental Health. In Morrow, M. and Halinka Malcoe, L. (Eds. ), Critical Inquiries for Social Justice in Mental Health (pp. 87–109). Toronto: University of Toronto Press. Mills, C. and White, R. (2017). Efforts to Scale-up Mental Health Services in Low and Middle Income Countries (LMIC). In White, R., Read, U., Jain, S. and Orr, D. (Eds. ), The Palgrave Handbook of Global Mental Health: Socio-cultural Perspectives. (pp. 187–210). London: Palgrave. Mills, C. and Hilberg, E. (2018). The construction of mental health as a technological problem in India. Critical Public Health pp. 1–12. doi:10.1080/09581596.2018.1508823 . Barker, B. and Mills, C. (2018). The psy-disciplines go to school: psychiatric, psychological and psychotherapeutic approaches to inclusion in one UK primary school. International Journal of Inclusive Education, 22(6), pp. 638–654. doi:10.1080/13603116.2017.1395087 . Mills, C. (2018). ‘Dead people don’t claim’: A psychopolitical autopsy of UK austerity suicides. Critical Social Policy, 38(2), pp. 302–322. doi:10.1177/0261018317726263 . Mills, C. (2018). From ‘Invisible Problem’ to Global Priority: The Inclusion of Mental Health in the Sustainable Development Goals. Development and Change, 49(3), pp. 843–866. doi:10.1111/dech.12397 . Howell, A., Mills, C. and Rushton, S. (2017). The (Mis)appropriation of HIV/AIDS advocacy strategies in Global Mental Health: towards a more nuanced approach. Globalization and Health, 13(1). doi:10.1186/s12992-017-0263-3 . Klein, E. and Mills, C. (2017). Psy-expertise, therapeutic culture and the politics of the personal in development. Third World Quarterly, 38(9), pp. 1990–2008. doi:10.1080/01436597.2017.1319277 . Zavaleta, D., Samuel, K. and Mills, C.T. (2017). Measures of Social Isolation. Social Indicators Research, 131(1), pp. 367–391. doi:10.1007/s11205-016-1252-2 . Mills, C. (2015). The Psychiatrization of Poverty: Rethinking the Mental Health-Poverty Nexus. Social and Personality Psychology Compass, 9(5), pp. 213–222. doi:10.1111/spc3.12168 . Mills, C. and Fernando, S. (2014). Globalising Mental Health or Pathologising the Global South? Mapping the Ethics, Theory and Practice of Global Mental. Disability and the Global South, 1(2), pp. 188–202. Mills, C. (2014). Psychotropic Childhoods: Global Mental Health and Pharmaceutical Children. Children & Society, 28(3), pp. 194–204. doi:10.1111/chso.12062 . Mills, C. and Kumar, M. (2011). Resounding Echoes from Afar: De-familiarizing Psychology in India kumar mills critical psychology. Annual Review of Critical Psychology, 10, pp. 549–576. Mills, C. (2011). Disrupting ‘Disability’ and ‘Doing’ it differently: Professional Talk and Children’s Lives china mills. Ethnographica: Journal of Culture and Disability, 1(1), pp. 12–24. Mills, C. and Hilberg, E. 'Built for expansion': the ‘social life’ of the WHO’s mental health GAP Intervention Guide. Sociology of Health and Illness. I am a member of the editorial collective for the journal Critical Social Policy., Critical Social Policy editorial member. I am a member of the editorial collective for Asylum magazine - a magazine for radical mental health., Member of editorial collective for Asylum magazine. China is co-editor, with Daniel Nehring, Ole Jacob Madsen, Dylan Kerrigan and Edgar Cabanas Día, of a Routledge book series on ‘Therapeutic Cultures’., Co-Editor of Routledge book series on ‘Therapeutic Cultures’..